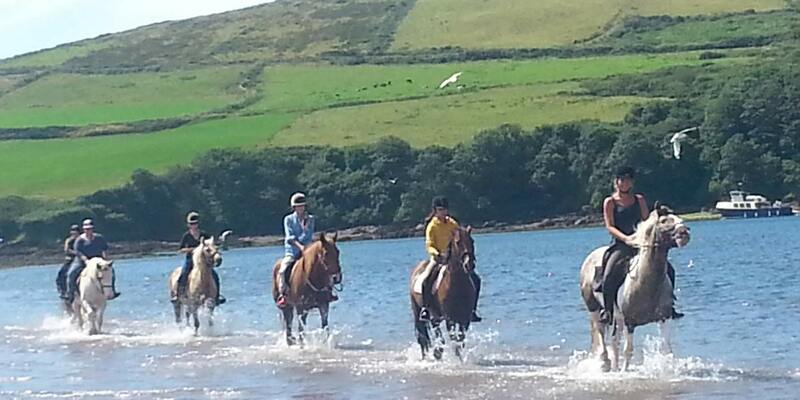 The dramatic beauty of the Dingle Peninsula is ideal for an enjoyable day horseriding. The dramatic beauty of the Dingle Peninsula allows our guests to enjoy a most memorable, challenging and enjoyable day of horseriding. One Hour Mountain Ride-Cnoc an Cairn. 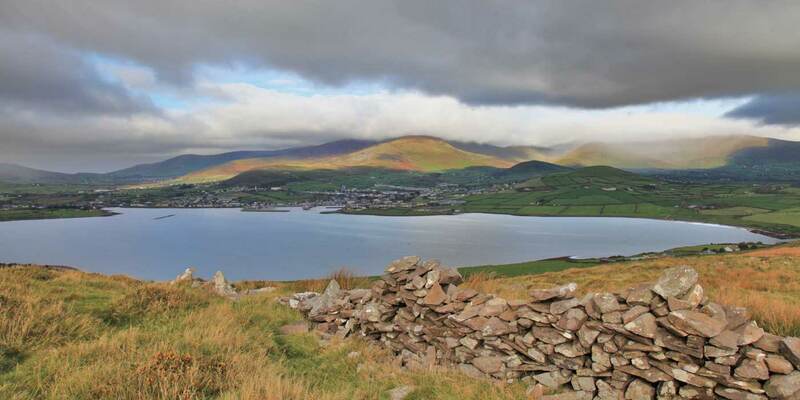 This takes you onto hills behind Dingle overlooking the Atlantic ocean with its rugged off-shore island, this trail is suitable for beginners. 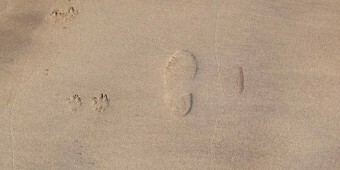 Two Hour Mountain and Beach. 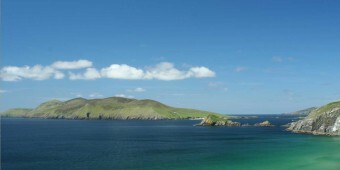 Is a good option for experienced riders, the first hour covers the same route as the one hour Mountain Ride, the second hour rides down to through the town and onto the beach by the mouth of Dingle Harbour. Fungi the Dolphin is sometimes spotted as we make our way along the sand toward Hussey’s Folly Tower, although on the way back we may be going too fast for wildlife watching. 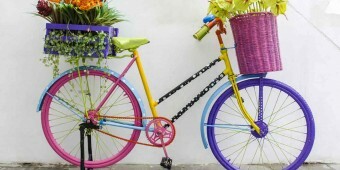 Our half day ride is 3 hours and for experienced riders only. The ride leaves the stables and goes down to the stony beach of Burnham. It then follows the back roads to the huge sandy beach of Ventry where horses love to gallop returning to the stables fording Milltown river along the way. Cathairbosine. The full day to Ventry starts out from the stables and takes us along the stony beach of Burnham at the western end of the harbour. We then follow part of the Pilgrim’s Route over the hills at Cathairbosine and down to Ventry Harbour for a gallop on the beach. A stop for lunch at Thady’s Restaurant is followed by the ride home, fording Milltown River just below the stables on the way. Paddling in the sea in Smerwick Harbour. The ride to Murieoch is a full day which sets out from the stables, fording the river at Milltown before climbing over the hills towards Smerwick Harbour. There is the option of stopping for a look at the Gallarus Oratory (a 12th Century church) as we pass on the way down to the beach at Wine Strand. The lunch stop on this day is Bric’s Bar in Ballyferriter.